Jukido Academy of Jujitsu & Karate in Palm Coast has been the premiere traditional martial arts school in Palm Coast and Flagler County since 1999 and offers traditional jujitsu and karate classes for children and adults. As the longest running school in Palm Coast and Flagler County, the Florida Jukido Jujitsu Academy has established itself as a trusted source for martial arts instruction and the local authority on all matters regarding legitimate self defense. The Jukido Academy of Jujitsu & Karate began in October of 1999 as a small and humble martial arts program, offering instruction in a traditional style of Jujitsu for adults and children of Palm Coast and Flagler County, Florida. Since that time the academy has developed into a trusted source for traditional martial arts instruction with quality and integrity as highlighted features. 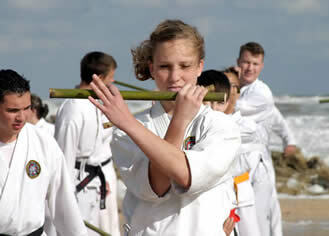 Palm Coast and Flagler County have seen many schools come and go over the years – schools that offered karate, tae kwon do, judo, and other assorted martial arts. 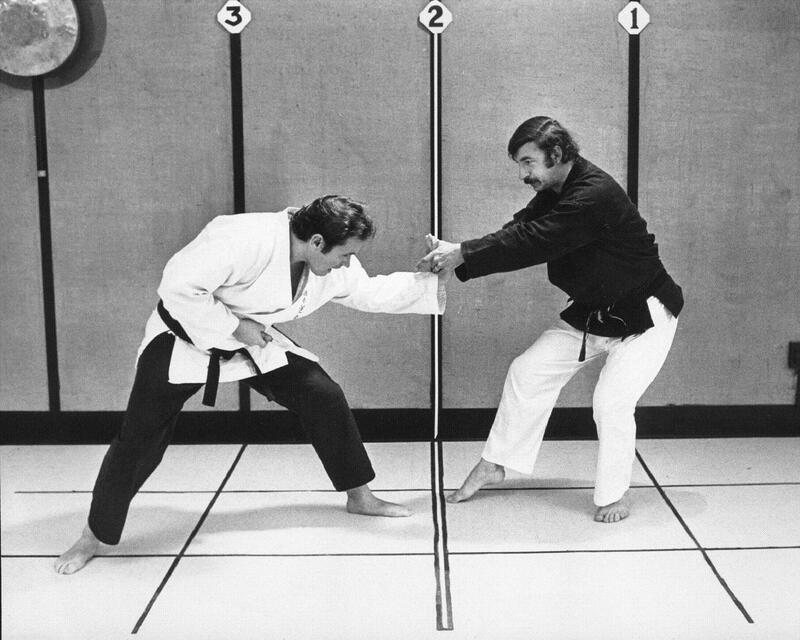 However, the Jukido Academy of Jujitsu & Karate has run continuously without any interruption in Palm Coast and Flagler County since its inception and founding by Sensei George Rego (Chief Instructor). In addition to offering Jukido Jujitsu and Kokondo Karate classes, the dojo also conducts special self defense seminars & clinics for the community. The dojo regularly offers free women’s self defense clinics for the community. Including at Daytona Beach Community College (Palm Coast /Flagler Campus), University of Central Florida, Fitness One in Palm Coast, Radiology Associates, and other organizations. Staying true to traditional jujitsu, karate, and all real (authentic) martial arts – the FJJA strongly advocates that martial arts be utilized and taught for self defense and not simply as a form of sport or fighting. In recent times, martial arts schools, claiming to teach tae kwon do, karate, judo, and other arts – have marketed their efforts toward children with “martial arts” classes that are nothing but themed daycares. As “fun” as some of these classes might be, and with as many trophies as might appear in window for parents to see from the waiting area, these classes are not offering legitimate martial arts for self defense. At the Jukido Academy of Jujitsu & Karate, whether a student is a child or an adult – they will received quality self defense instruction while instilling the discipline and other tangible and intangible benefits that come to dedicated students. The Jukido dojo has appeared in various media in Palm Coast, Bunnell, Flagler Beach, and nationally (Blizzard 93.3 FM, Flagler Times, Flagler Magazine, etc) promoting the arts of Jukido Jujitsu and Kokondo Karate. As the trusted local authority on martial arts and self defense, with internationally sanctioned instructors in Jukido Jujitsu and Kokondo Karate, the Florida Jukido Jujitsu Academy has set itself apart from the typical ‘martial arts’ schools and the community has shown strong support for it’s longest running martial arts academy. This has been demonstrated many ways, including the community voting the FJJA has the “Best Around” for karate and martial arts instruction. The Flagler Times has also covered the Florida Jukido Jujitsu Academy extensively, including naming the FJJA Chief Instructor as “Coach/Instructor” of the Month. 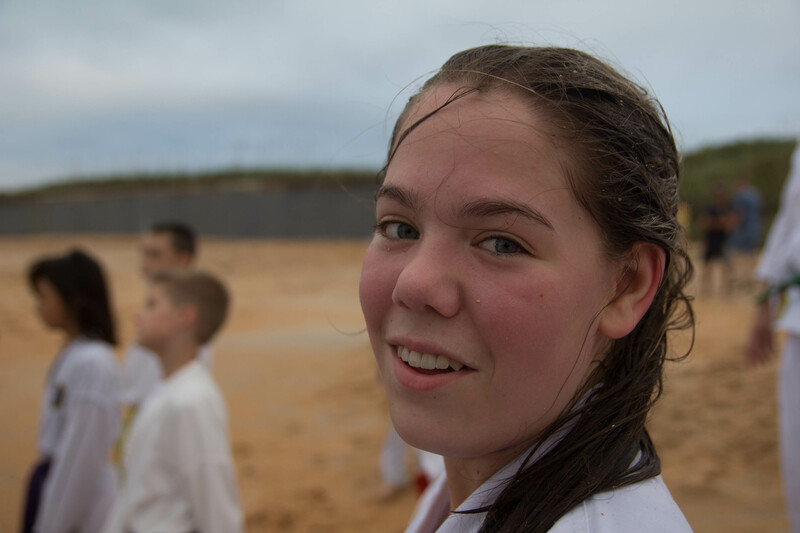 A fun, non-competitive (sport), environment – in which, doing one’s best is stressed over “beating an opponent.” Students training in Jukido Jujitsu and Kokondo Karate in Palm Coast & Flagler County or internationally, learn the importance of competing with one’s self. One of the many elements that separate the Florida Jukido JujitsuAcademy and its traditional martial arts of Jukido Jujitsu and Kokondo Karate from many others – is the passion of its instructors and students. The dojo (school) becomes an extended family in which camaraderie is abundant. The dojo “family” is tied together by the shared experience of hard work, forging disciplined spirits, working together on their goals, and perfecting their martial arts and self defense skills. The dojo family that is the Jukido & Karate Academy is not tied together by a business transaction that defines the relationship between schools and students in most martial arts studios. Rather, the students who practice Jukido Jujitsu and/or Kokondo Karate internationally and in Palm Coast know that their bonds are not legal or contractual – they have a relationship build on the traditional martial arts tenants of discipline, courage, honor, loyalty, and respect. This is seen in the Palm Coast dojo every single day in a very visible way! Students of all ages and from all walks of life share in the up keep of the academy (dojo): cleaning windows, sweeping floors, vacuuming mats, and other chores. In most modern ‘martial arts’ studio’s they wouldn’t ever think of having their “customers” (i.e. students) taking care of chores…because it’s “bad business” practice. Again, the passion of our dojo and all traditional martial arts dojo is not one of “business” – but of an extended family working together on their goals of perfection of the arts of Jukido Jujitsu and Kokondo Karate, and more importantly on the perfection of their characters. Like in all families, everyone plays an important part. The Jukido dojo, established a “Benevolence Fund” to assist students who would like to train, attend Jukido Jujitsu and Kokondo Karate seminars, and more – but who are experiencing financial difficultly. Once again, a demonstration of our academy’s traditional and compassionate approach to martial arts training. Students who train at our dojo regularly in Palm Coast know that with programs like the benevolence fund, affordable rates for working families, and passionate training and instruction – the FJJA is not about conducting “business as usual.” Thankfully the community has recognized our dojo’s efforts and has supported us through our many years. It is because of this that the Florida Jukido Jujitsu Academy has established itself as the premiere martial arts school in Palm Coast. Although our academy is located on the city line of Palm Coast and Bunnell, students come from many areas to train, including: Flagler Beach, St. Augustine, Ormond Beach, Deland, and other locations. For students and parents who are looking not just for the closest martial arts school, but rather a school of substance, the Florida Jukido Jujitsu Academy has become a foundation for individuals in many counties in Florida. You can also call 386-445-8754 or e-mail the academy at info@floridajukido.com for more information and to setup a week of FREE classes for you, your child, or your entire family. You will never have any contracts to sign and are offered affordable martial arts’ training that is second to none. Come see, feel, and experience what makes the martial arts of Jukido Jujitsu and Kokondo Karate different and unique! We look forward to hearing from you and seeing you in the dojo!